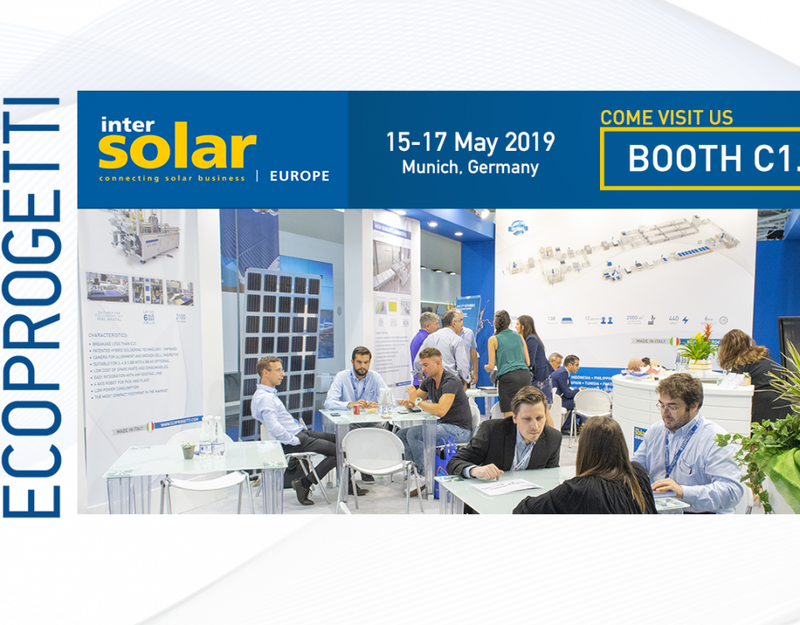 Come to visit us at Intersolar Europe 2018! 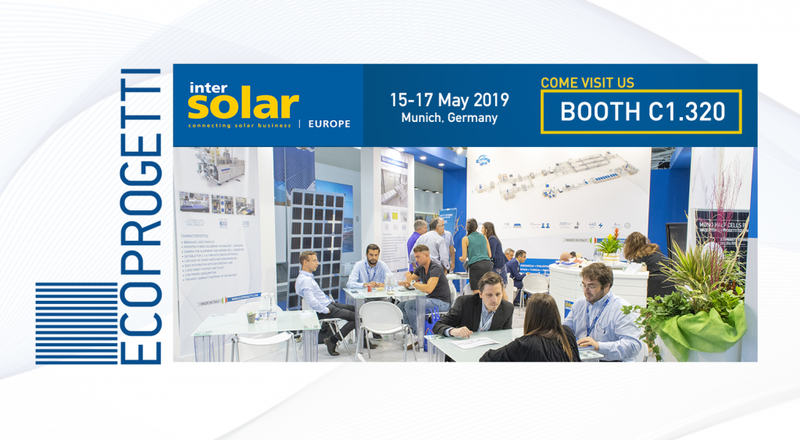 Ecoprogetti is taking part in this important event held in Munich, Germany, from the 20th to the 22nd of June 2018. 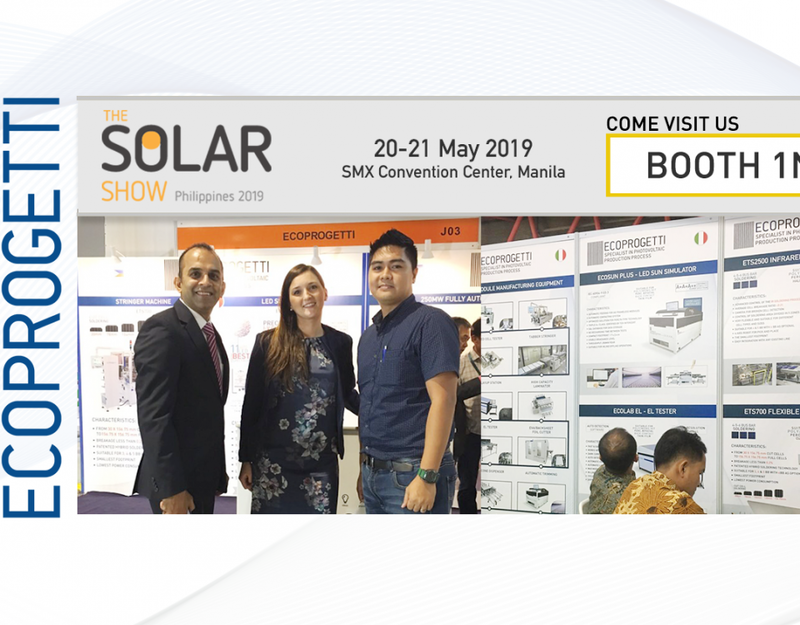 The Italian firm will be presenting the latest Equipment Technology & Turnkey solutions for PV module manufacturing. 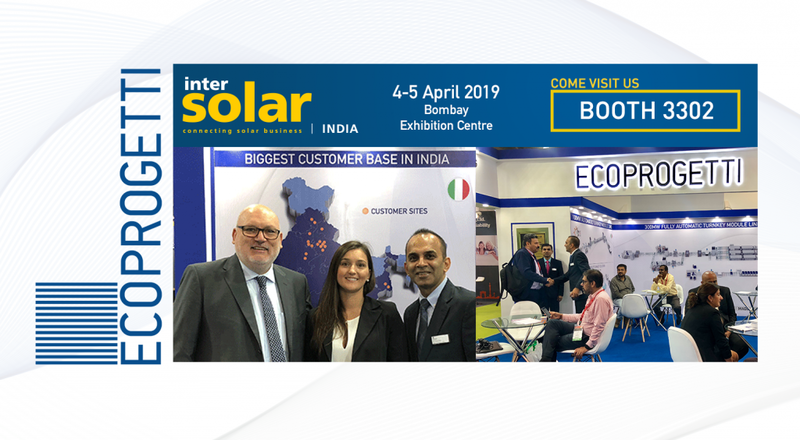 You can find Ecoprogetti in: Booth A1.110, come to visit! 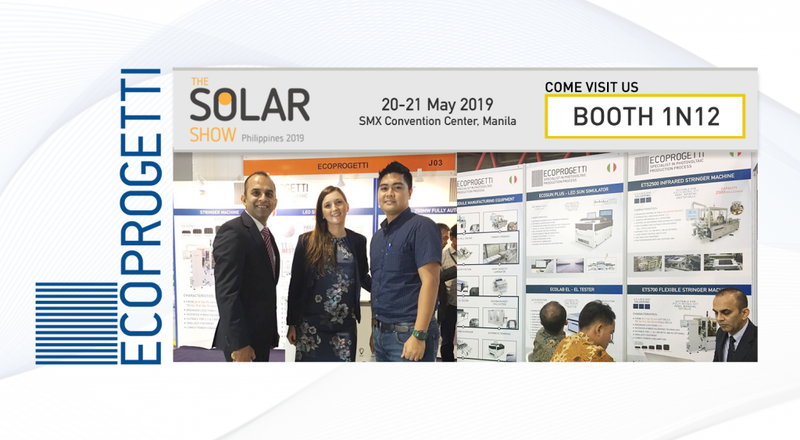 The subject will be your solar PV projects and Ecoprogetti’s solutions for you. 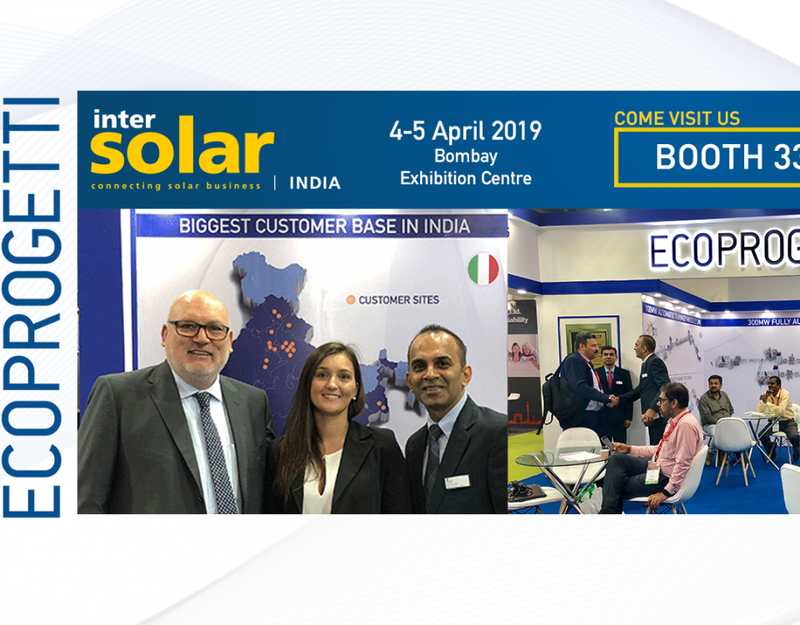 Ecoprogetti has been shortlisted as finalist at the Intersolar AWARD 2018 with its Ecosun Bifacial, an innovative LED Sun Simulator designed to test bifacial photovoltaic modules in only 1 test, learn more about the Ecosun Bifacial here.